Bramah VNS27 very narrow door deadlock. Hardened lock case to resist drilling attacks. Bolt contains hardened steel inserts. Lock depth 32mm, keyway backset 15mm. 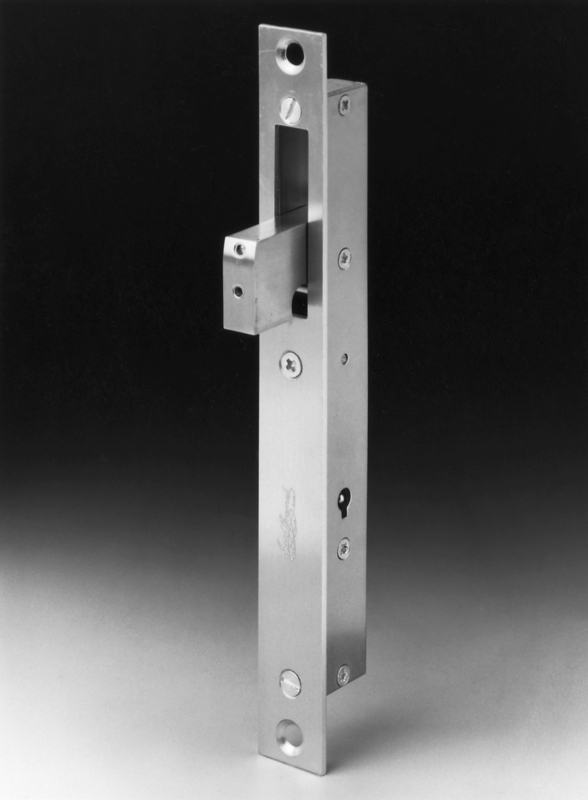 Lock plate included, this is required when installing in timber doors. Optional when fitting in metal doors & frame. Separate guide peg can be fitted to allow installation in sliding doors.